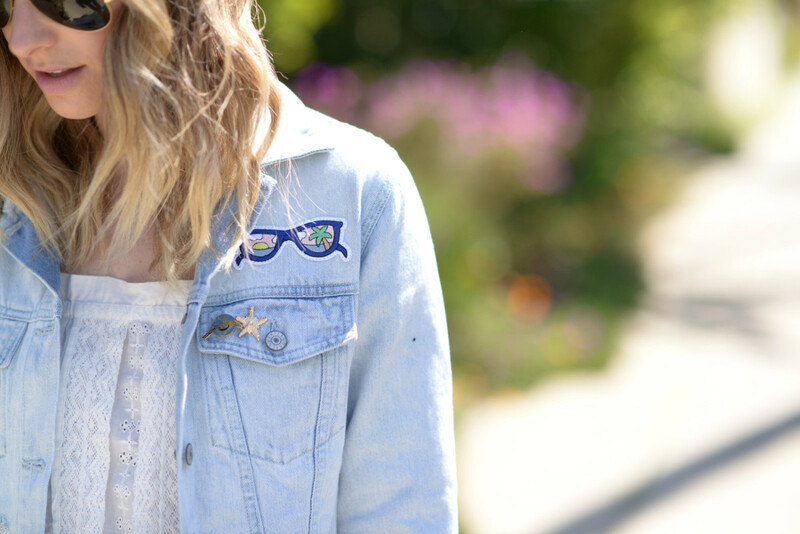 All-white meets a playful denim jacket. I&apos;m sure you&apos;ve heard about—or, more likely, seen on Instagram—the "super bloom" that took over Southern California this spring. While the blanket of poppy fields in the rural areas have started to diminish, they&apos;re still going strong in the city. Everywhere you look, there are flowers—beautiful bougainvillea bushes, primrose near the beach, and lupine covering empty lots. Considering the amount of floral activity, it felt appropriate that my outfits be as cheerful and bright. 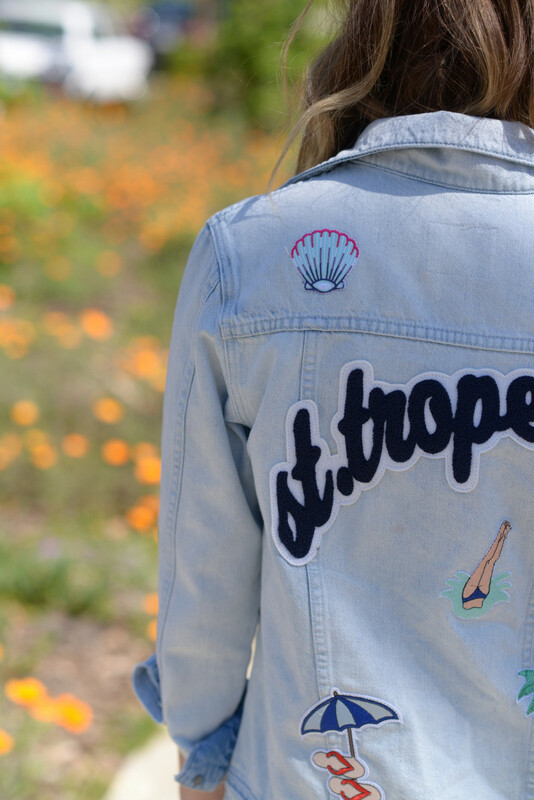 I started with a white base, then layered on pastels with pink slides (purchased in Tokyo) and a playful, patched denim jacket.